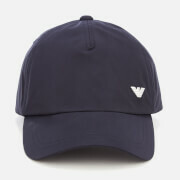 Navy baseball cap from iconic Italian label, Emporio Armani. 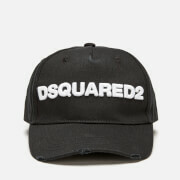 The cap is designed with a tonal Emporio Armani print on the front panel and a signature eagle logo print to the elasticated back. 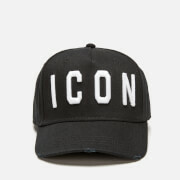 Complete with tonal stitching on the curved brim and a tonal top button to the top.